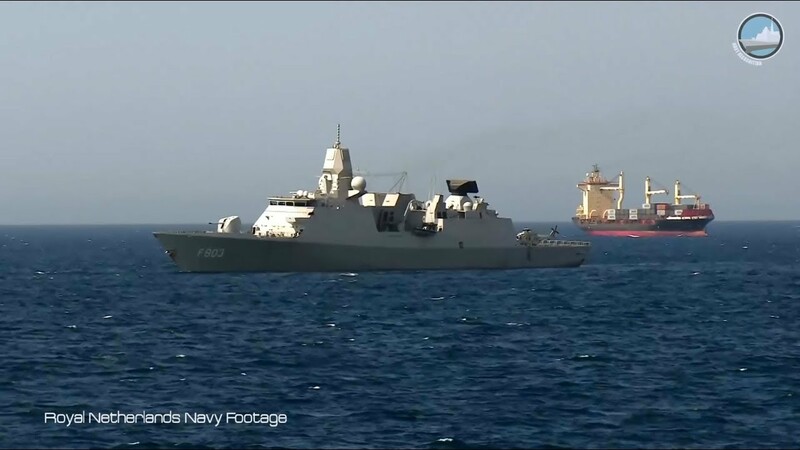 Focus on HNLMS Tromp (F803) (Dutch: "Zr. Ms. Tromp"), the second De Zeven Provinciën-class frigate of the Royal Netherlands Navy (Koninklijke Marine) during the 2018 Belgian Navy Days. The De Zeven Provinciën-class frigates are speciliazed in air-defence and command missions. This class of ships is also known as LCF (Luchtverdedigings- en commandofregat). The Tromp was laid down in 1999, launched in 2001, and commissioned in 2003. The frigate is named after Dutch naval heroes Maarten Tromp (1598–1653) and Cornelis Tromp (1629–1691).